George Conway issued President Donald Trump a fact check on the 9th Circuit Court of Appeals, the largest of the circuit courts and a target of the president’s anger after a judge in Northern California blocked him from banning asylum seekers who didn’t enter the country at specific points of entry. 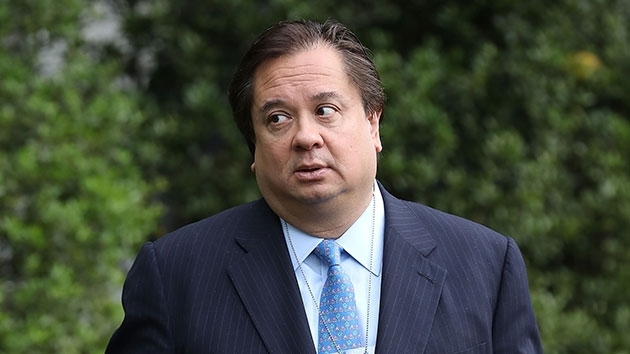 (WASHINGTON) — It’s not the first time Kellyanne Conway’s husband, a conservative lawyer in Washington, has publicly criticized his wife’s boss, the president of the United States. And it likely won’t be the last. This time, George Conway issued President Donald Trump a fact check on the 9th Circuit Court of Appeals, the largest of the circuit courts and a target of the president’s anger after a judge in Northern California blocked him from banning asylum seekers who didn’t enter the country at specific points of entry. The federal trial judge, Judge Jon Tigar, ruled against the president last week. Current U.S. immigration law, as Judge Jon Tigar interpreted it in the case, allows people to seek asylum no matter where they enter. Tigar is not actually a judge for the 9th Circuit, but the case will likely head there once appealed. In a tweet, Trump went after the court for its track record of cases overturned at the next level, which is the Supreme Court. “Justice Roberts can say what he wants, but the 9th Circuit is a complete & total disaster. It is out of control, has a horrible reputation, is overturned more than any Circuit in the Country, 79%, & is used to get an almost guaranteed result,” Trump tweeted. That’s when George Conway got involved, as did other legal scholars. Their first point was that the 9th Circuit is not particularly special when it comes to reversals before the Supreme Court. Out of the 13 circuit courts that cover different regions of the country, the 9th Circuit covers the largest swath of states and a fifth of the nation’s population. The 9th Circuit also has the largest caseload and employs the most judges. In other words, it has the most reversals — though not the highest rate — because the Supreme Court hears more cases from the 9th Circuit than any other circuit court. Between retweeting pictures of Corgis, Conway pointed out that the average reversal rate for all courts once decisions reach the Supreme Court was 74 percent. In the 9th Circuit, it’s 79 percent — which is not even the highest rate of reversal. Stephen Vladeck, a law professor at the University of Texas, tweeted that, over the past five Supreme Court terms, three other circuits have seen reversals at a higher percentage — the 3rd, 6th, and 11th circuits, which represent areas with various political leanings from Ohio to New Jersey. The 9th Circuit is known to be more left-leaning, which lawyers use to their advantage. Other regions are more conservative. For example, many lawsuits against Obama-era policies were filed before judges in Texas. The president’s proclamation was “squarely inconsistent with the text of the relevant statute,” Vladeck wrote. “So this is not about judges ‘refusing to follow the Constitution’ or substituting their own policy preferences for those of the political branches. Rather, it’s about a federal judge holding that an executive order violates the plain language of a clear, unambiguous statute,” he wrote. In his ruling, Tigar wrote that the president’s proclamation goes against the “expressed intent of Congress” and that it “irreconcilably conflicts” with the Immigration and Naturalization Act, a 1951 law that states that migrants crossing the border at any point can ask for asylum.